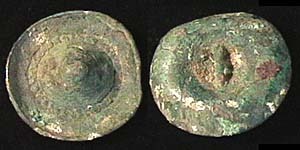 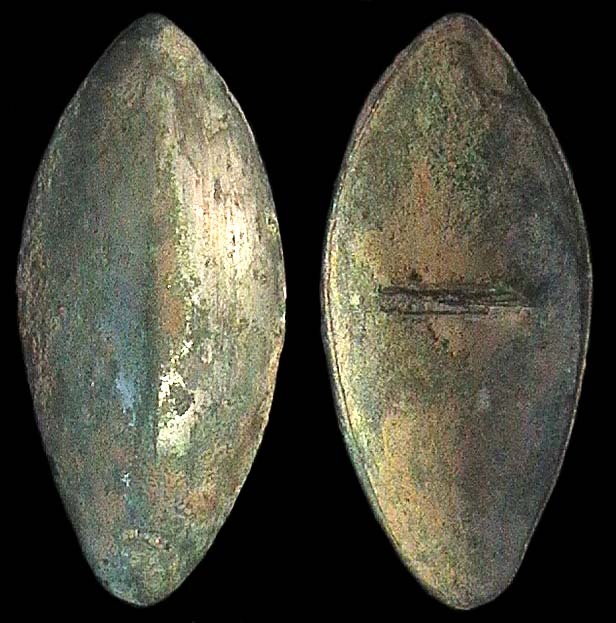 CHINA, ZHOU Dynasty, 1122-255 BC, bronze "shield money." 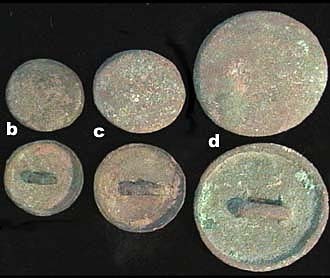 The following items all have a loop or bar on back as if for attachment to a (cloth?) 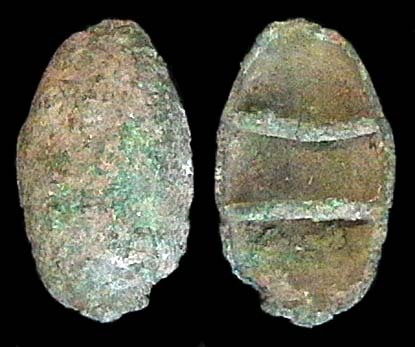 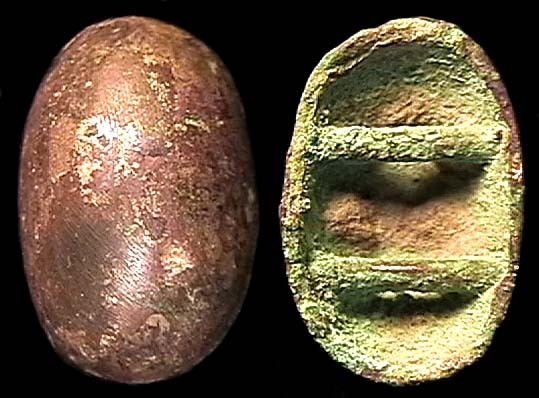 backing, and are thus conceptually related to the wawa or "cicada" money, the tadpole shaped "moon money," the chuan "bead money," and so forth. 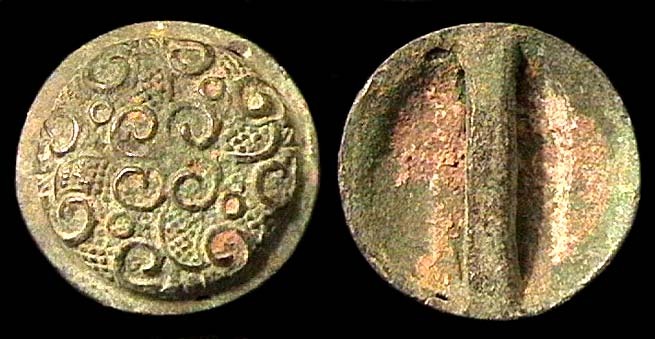 Things like them are mentioned and shown in Ramsden (photocopy available for $5.00). 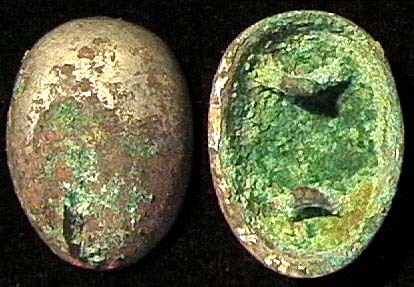 As is usual with Zhou era bronze items of a convenient size, we cannot definitively call them "coins," but we can with possible justification say of them "why not?" 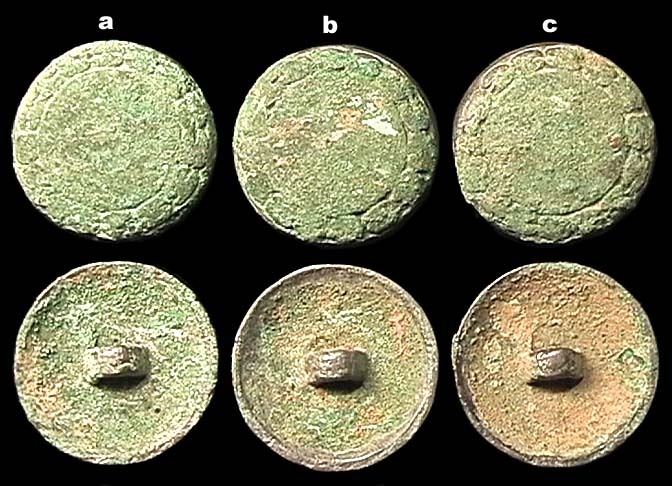 On the other hand, many people, possibly a majority, think they are buttons or armor scales or horse ornaments. 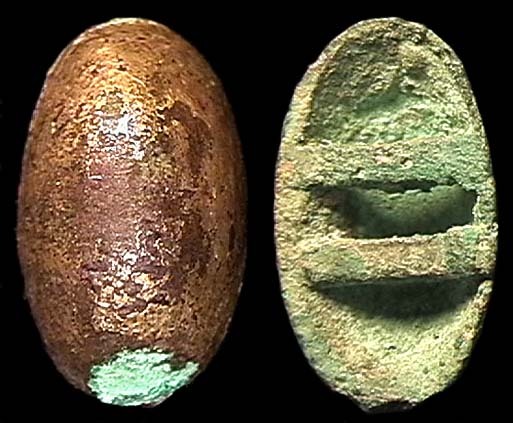 See also "wawa" or "cicada money," "moon money," "swirl money," etc. 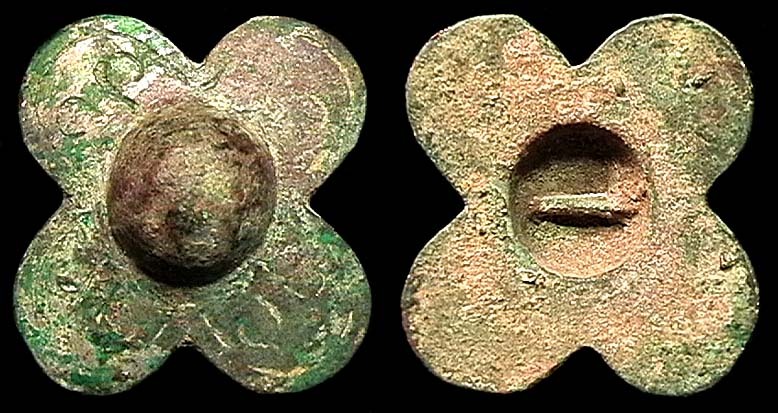 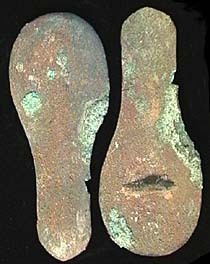 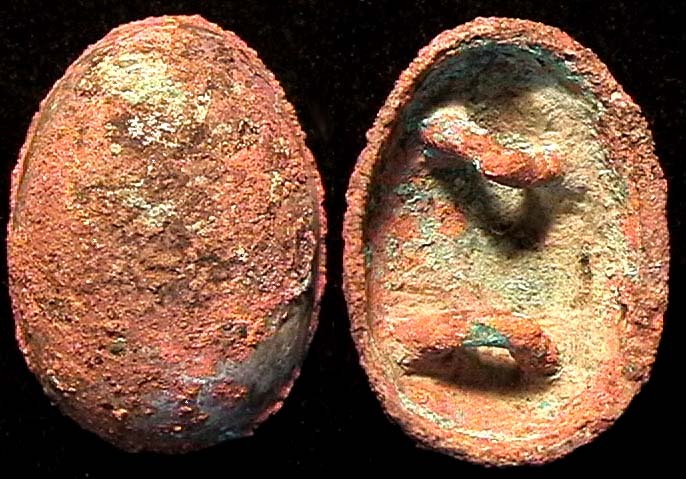 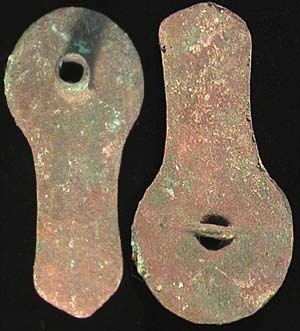 , ancient bronze "bead" or "string" money, and jiapian armor scales. 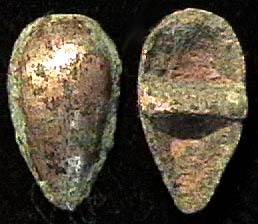 Picture is of 2 specimens. 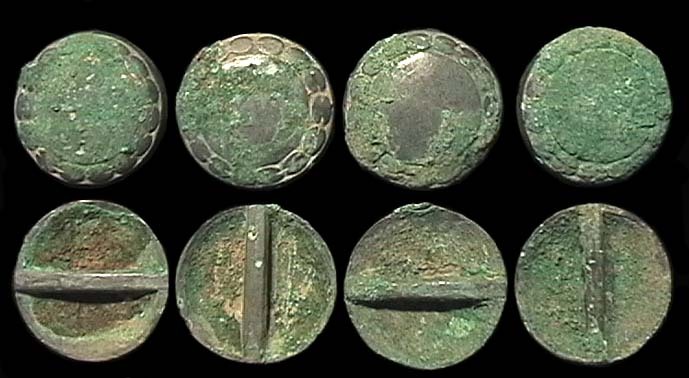 I have 4 in all.